This isn’t my latest by a long shot. When Mrs. Muttrox and I were vacationing in France five years ago, this song was on the radio and kept us going. When we got back to the States, it took a long time to track it down because (1) we couldn’t remember the lyrics, and (2) we thought the singer was a girl. Oops. 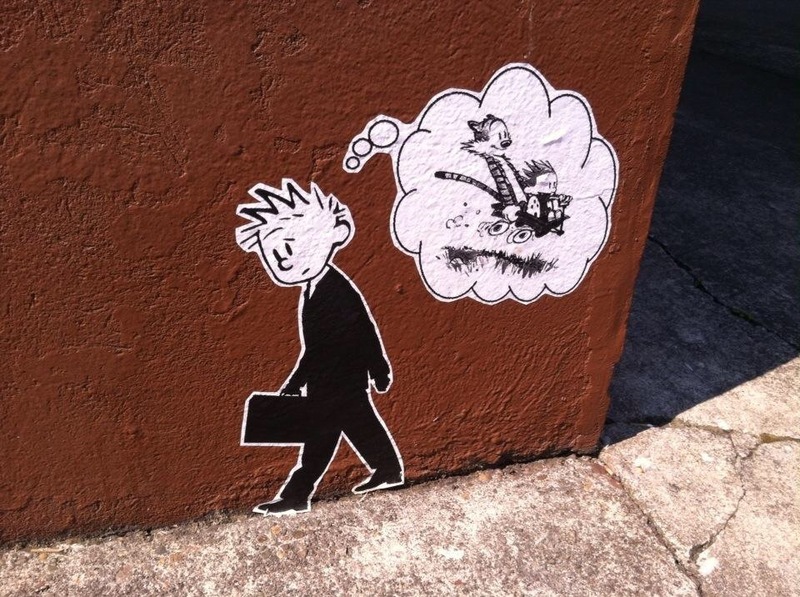 This is great street art in Portland – many days I feel like this. And watching my kids go through the educational system reinforces it. This Grantland article is a wonderful history and overview of waterparks. The web design is very engaging as well. 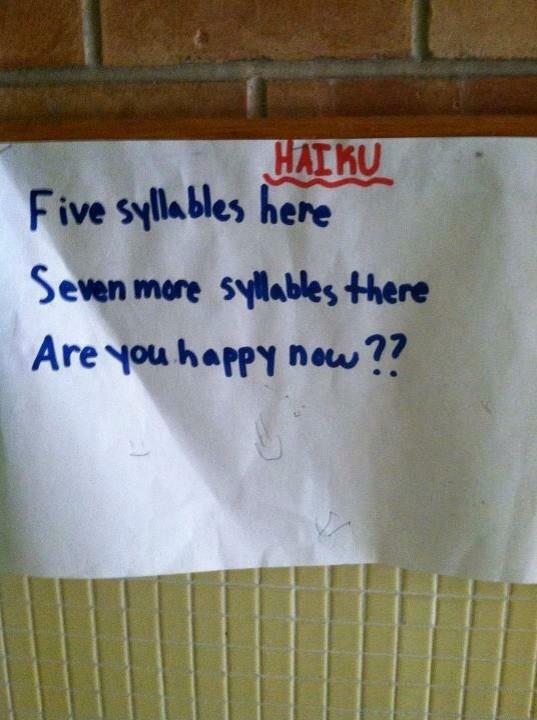 This schoolchilds Haiku is spot on. Here’s a fun way to fix a bad tattoo. Drummer with no arms. Take that Def Leppard! Very meta comedy sketch, about a comedy sketch even as it’s going. A twin interview with the mighty Austin and Lev Grossman. Probably the only joint interview of successful twin novelists ever. Famous quotes, by other people. It adds a whole new layer of context. Are you wasting your time right now? You should be grateful for the amazing kitchen you have, that you take for granted. Look at it with fresh eyes. This is a very interesting cover of Baba O’Riley. A pair of harpists, surprising rocking. A fantastic meta science fair project. Very trueish. This geneticist used 23andme.com to accidentally start his parents divorce. A fascinating story of the downside of knowledge. So the White House said Trump disqualified himself with this deplorable statements on Muslims. Rand Paul took this as an opportunity to give ten reasons why Obama should be disqualified. I like Rand Paul because he is guided by policy, not politics. And I agree with many of his policies. Sadly, the remaining ones are terrible. Anyhow, I thought I’d give my take on his ten. Most of them are partially true. I rather doubt healthcare is truly 1/6 of the economy. The math behind claims like that is always shaky. He certainly has tried to influence that share of the economy. He hasn’t hurt patients (who have more access than ever) or taxpayers (the program came in cheaper than expected). There is some truth to this. After six-odd years trying to get bi-partisan legislation, he gave up. The last two years have seen Obama extending the Executive branch powers to get things done. I would agree more were it not for the scorched-earth-never-cooperate strategy from the GOP. He doesn’t think it’s how you make law, but the way you should make law isn’t functioning. He has consistently asked Congress to vote on this, Congress has refused to. It’s undeclared because of Congress. 6. His copy of the bill of rights obviously goes from 1 to 3, skipping the 2nd amendment. Terribly false. The idea that any kind of gun control means revoking the Second Amendment is absurd, but sadly common. Yep. Of course that program wasn’t born with him, but he continued it and it is still an awful thing. My biggest complaint about the NSA program has been that it is beyond the law. Outside of whether it is a good program or not, nothing should be beyond the law. Probably true, thought I haven’t checked the numbers. It also happens that adding debt is the correct response to the recession, per standard economic theory. I believe the first round of stimulus was passed under Bush, not Obama. 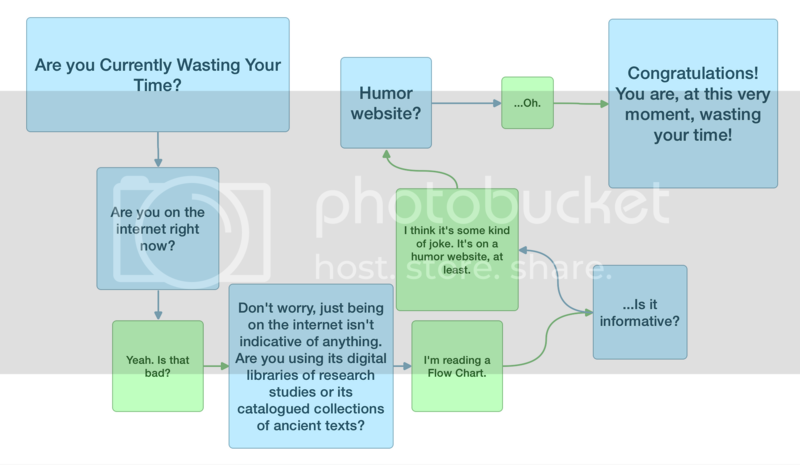 This chart is a good overview. 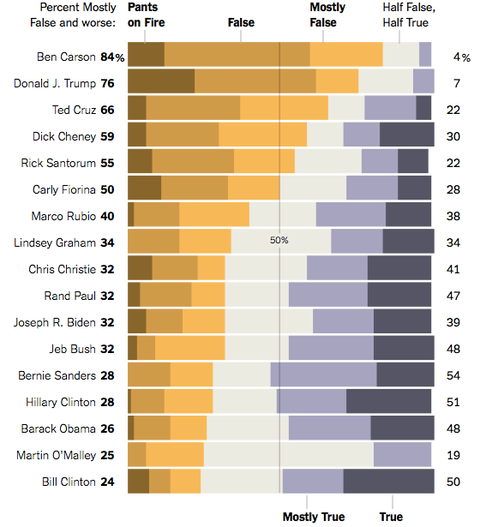 To add some more context, the GOP has been dogmatic about never raising taxes. Think that might have something to do with it? Well, that’s just false. And stupid. Oh please. Whenever anyone talks about a ‘way of life’, you know they don’t have a real case. It’ll be a great way of life for all of us when all the coal is burned and we’re swimming. Honestly. Remember when the GOP was the environmental party? Honestly, it used to care. Remember when cap and trade was an idea from the right, and made more sense than the Democrats regulatory approach? And remember how when Obama agreed with the GOP, they suddenly decided that cap and trade is evil? If you don’t, I guess you can go stand with Rand Paul.